Gov. Pawlenty Wednesday encouraged Congress to permit expansion of a state program that allows Minnesota citizens and state employees to import drugs from Canadian mail order pharmacies at a discount. Testifying before a Senate subcommittee in Washington, Pawlenty said Minnesota's program has been safe and successful. St. Paul, Minn. — Minnesota has been helping citizens buy cheaper Canadian drugs for just over a year. At Gov. Pawlenty's direction, the state set up Web sites through which people can access order forms from two mail order pharmacies, where many prescriptions cost less because of Canadian price controls. One of the Minnesota sites, known as RXConnect.com, is available for any Minnesotan to use. There were 9,000 prescriptions ordered between January, 2004 and January, 2005. Pawlenty told the committee he didn't have a specific goal, but that those numbers look good to him. "The fact that we had 9,000 prescriptions filled, bringing relief in 9,000 cases, we're proud of that and think it's a good start," Pawlenty said. "It's certainly not the be all and end all. We never represent that it is, but it's just one way to get some relief to some people." Pawlenty encouraged federal lawmakers and the Food and Drug Administration to leave Minnesota's program alone if they choose not to adopt it. Pawlenty says if the FDA does step in, he's spoken with Minnesota's northern tribes about acting as intermediaries. 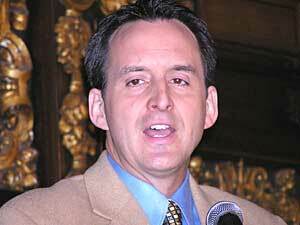 Pawlenty says if the FDA does step in, he's spoken with Minnesota's northern tribes about acting as intermediaries. He says the tribes could act as wholesale purchasers of drugs from Canada and then sell the drugs to Minnesotans. He says the tribes could act as wholesale purchasers of drugs from Canada and then sell the drugs to Minnesotans. That way, the state and tribes could be immune from prosecution. Officials with both the prescription drug companies and the FDA say importing drugs from another country is dangerous. The FDA has repeatedly said that it can't ensure the safety of any cross-border drug sales. Minnesota Human Services Commissioner Kevin Goodno says those claims may be deterring some from using the state-run sites. He says a higher Canadian dollar, fear of government prosecution and safety concerns may be softening demand. "There are factors that are impacting a number of things. I think the pharmaceutical industry, as well as the U.S. FDA, has really portrayed and really talked up the negatives about Canadian prescription medicines," says Goodno. The other state-run Web site offers Canadian medicine to the state's 120,000 employees and their dependents. State officials say about 2,000 people enrolled in the program between last May through the end of January. To date, the state has saved about $300,000, which meets the program's expectations. But one union leader argues more state employees should be using the program since it costs them nothing for the drugs, which are covered by their insurance. "It's being underutilized," says Peter Benner with the Association of State, Federal and Municipal Employees Local 6, or AFSCME. Benner says he's not sure why more state employees aren't using the site. One reason may be the limited variety of drugs. The site only offers employees maintenance drugs which are used to treat high cholesterol, arthritis and depression. Benner also says state employees are reluctant to use mail order pharmacy services, no matter where the pharmacy is based. "For mail order in general, there has been some concern that people say, 'I really just want to see my own pharmacist.' That's going on. For some folks there's also a level of intimidation about having to do this electronically," says Benner. Minnesota and several other states have been touting their relationships with Canadian mail order pharmacies for about a year. Stephen Schondelmeyer with the University of Minnesota's College of Pharmacy says Pawlenty and other governors may be using the sites mainly to send a message to federal lawmakers that skyrocketing prescription drug prices need to be controlled. "I don't think anyone thinks these state sites are going to solve the problem or address the need that anyone has," says Schondelmeyer. "But first and foremost, it's a signal that we need change. And second, for those who take the time to use them it does provide some benefit." Schondelmeyer says state officials are using all of these tactics because they're seeing their prescription drug costs increase at double-digit rates. He says if those rates continue, state officials worry that state Medicaid budgets and employee health costs could begin eating into other state programs.